Last night, as you were brushing your teeth and setting your alarm for this morning and kissing your children goodnight after telling them stories, as you were perhaps sipping a glass of wine in a darkened room and looking out under the streetlight as the rain lay its breath upon the spring buds of fruit trees days away from blooming, and perhaps as you listend to a Chopin etude and felt the long trail of memory pull at you–those gone before, now lost in the dark, and those to come–who the Pole tells you, through his carefully phrased notes, that those past and future were and will be just as anxious and feeling and questioning as you are now, facing for the untold time the question not only what life is but why it matters…. …the Oregon State House of Representatives voted your soul away. Days before, the State Senate voted to take $1.8 million from the Oregon Cultural Trust and move it to the general fund to make up for a budget shortfall. No doubt the money will pay for some worthwhile, needed programs (and some less noble purposes backed by well-monied lobbies). Competiting priorities are not the point here, though that’s how the lawmakers will try to cover their duplicity. The point is: that money was not theirs to spend. It was donated by Oregonians, for Oregonians, to provide a life raft for the arts in turbulent times–times exactly like those we face. It was not gathered by taxation but by choice. It has been, to cut to the bone, not reappropriated but stolen. In an effort to lure people to the state–to spend their money on our symphonies, museums, and theatres as well as to visit our natural wonders–a slogan was devised: Oregon, it’s different here. Then hang up the phone or close the door. 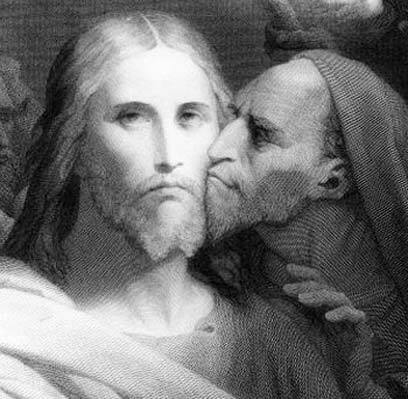 This entry was posted on Friday, March 6th, 2009 at 3:33 pm	and tagged with 37 variations on Judas, Oregon Cultural Trust, Oregon state legislature and posted in arts funding. You can follow any responses to this entry through the RSS 2.0 feed. please send this to the ORegonian, “in my opinion” column. It says it all so well. Time to go back to wild west days where we have one-room school houses that teach readin’, ritin’, and rithmatic! And the only textbooks you need are the Bible. ’bout time we got rid of all the sinners and homos and getting rid of culture is the most effective way to do that. Now, where’s my helicopter? Time to go shoot some moose. Silly Rabbit. You don’t hunt moose from helicopters. You hunt wolves from helicopters. You hunt moose from snowmobiles.And wolverines with shotguns.